Don't be surprised to find Lester Holt taking a stroll to chat up strangers and get a lay of the land during Super Bowl Weekend in the Twin Cities, no matter how low the temperatures dip. "Wait a second, How cold are we talking here?" said the NBC News anchor Wednesday, shortly after signing off from his weeknight broadcast. "The weather is part of what makes this Super Bowl interesting. It sounds like Minneapolis is embracing the idea. 'Yeah, we're a cold-weather place and we love it.'" Holt, who will read headlines from Nicollet Mall on Friday, Feb.2, and inside U.S. Bank Stadium the following evening, has some experience with frigid weather, spending part of his youth in Anchorage and working out of Chicago for 14 years. But he hasn't logged much time in the Twin Cities. "This is really embarrassing, but I've never been to the Mall of America," said Holt, 58, who also hopes to take in some jazz music during any time off. Holt, who will be covering his first Super Bowl as the lead NBC anchor, will be racking up the frequent-flier miles in upcoming weeks. In addition to shuttling from New York City to Washington DC for the State of the Union Address, he'll be in South Korea for the Winter Olympics, which is also being covered by his network. 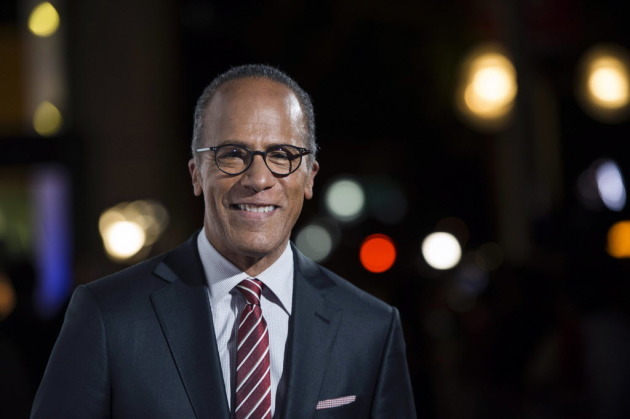 "Part of the signature of 'NBC Nightly News' is taking the broadcast on the road a lot, whether it's for news or a fun, exciting event," he said. "The NFL is a major news story right now with the anthem protest, which caught the attention of the president. The concussion story remains a major story. The Super Bowl is when the spotlight is on the league and it's a good time for us to be there." Holt admits his plans may get thrown for a loop if President Trump invites him to the White House that weekend for an in-person interview. In recent years, the leader of the country has traditionally agreed to a one-on-one interview during Super Bowl weekend with someone from the network that has the rights to the game. Holt said discussions between NBC and the White House are taking place, but that nothing has been determined yet.